Last week, I wrote about how to update your IBM QRadar. But the correct operation of any SIEM is not only updating the build, or collection and storage of events from various data sources. The primary task of SIEM is to identify security incidents. The vendor provides preconfigured detection rules for IBM QRadar, but most often these rules are templates that you need to change for your infrastructure, security policies and incident response procedures. Before writing the rules for detecting security incidents in the company’s infrastructure, you need successfully configure your SIEM, connect all data sources and fix parsing errors. Otherwise, you will have to re-write them. It is necessary to understand what do you want to discover and what are the criteria for rule triggering. 1. Rules based on events. 2. Rules based on data flows. 3. Rules based on events and data flows. 4. Rules based on Offences. 5. Finding deviations from normal behavior. 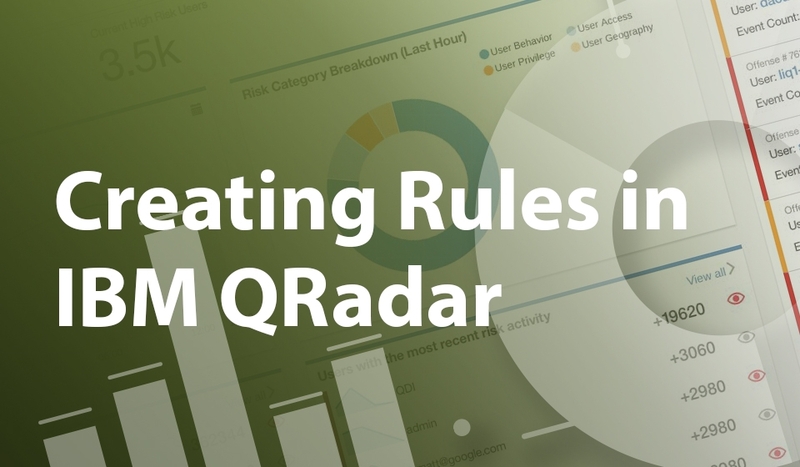 Such rules allow your QRadar to correlate fields with different kinds of data sources, corelate events with other events and identify certain regularities. 1. 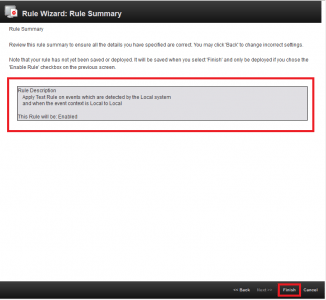 Go to Offences – Rules – Actions – New Event Rule tab. 2. Fill in the Rule name field. Add conditions. Set the value of the conditions. Select the group for this rule. Write Notes. Click Next. 3. 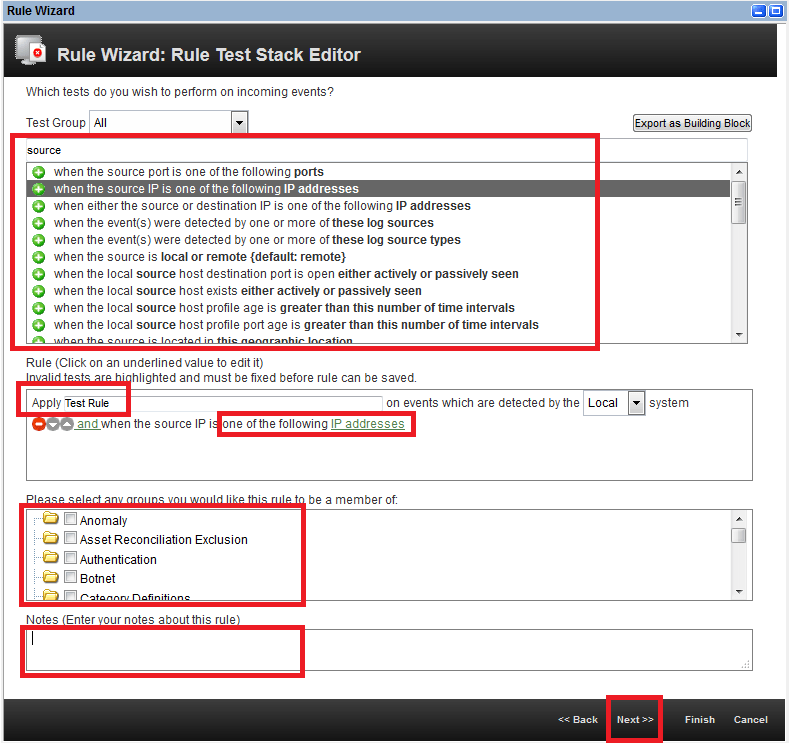 After that, you need to specify Rule Action, Rule Response, Rule Limiter and Enable Rule. Click Next. 4. Opened window displays all the parameters and conditions that apply to the rule. If everything correct, click Finish. This kind of rules allows you to analyze and correlate network events. 1. 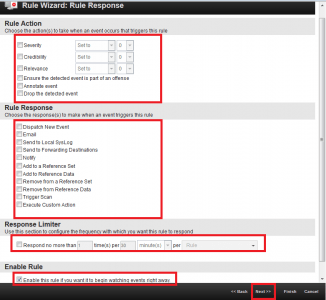 Go to Offences – Rules – Actions – New Flow Rule tab. All other steps are the same as for Event Rules. Creating rules based on events and data flows. Rules based on events and network data flows allow you to correlate fields from different kinds of data sources with similar fields in data flows. 1. Go to Offences – Rules – Actions – New Common Rule tab. 2. All other steps are the same as for Event Rules. Rules that based on the already existing Offences (depending on their triggering conditions and sources) allow you to perform some additional actions. 1. Go to Offences – Rules – Actions – New Offence Rule tab. 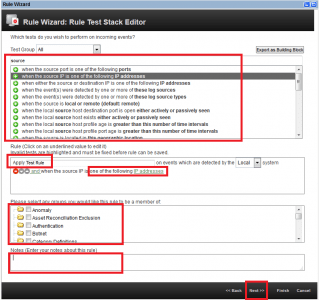 Rules for detecting deviations from the normal behavior are based on search requests. The request has to correspond to a specific format and should describe what is the normal behavior. To create such a rule, you need to create a Search that describes the normal behavior. A mandatory criterion for creating a search is aggregation over one or more fields. (Note: do not forget to save created Search). Then you need to run it. 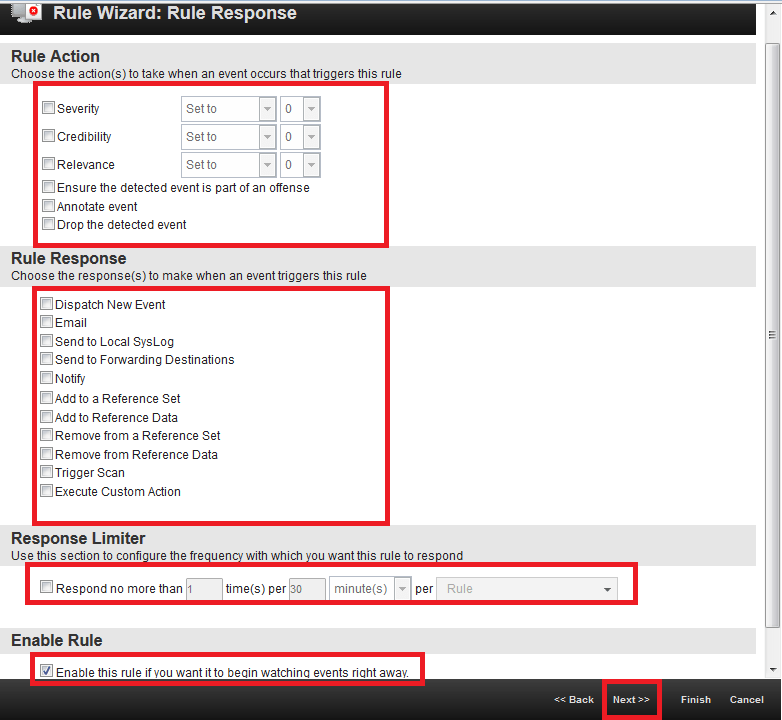 After that, click Rule tab and select one of the rule types, as shown in the picture below. 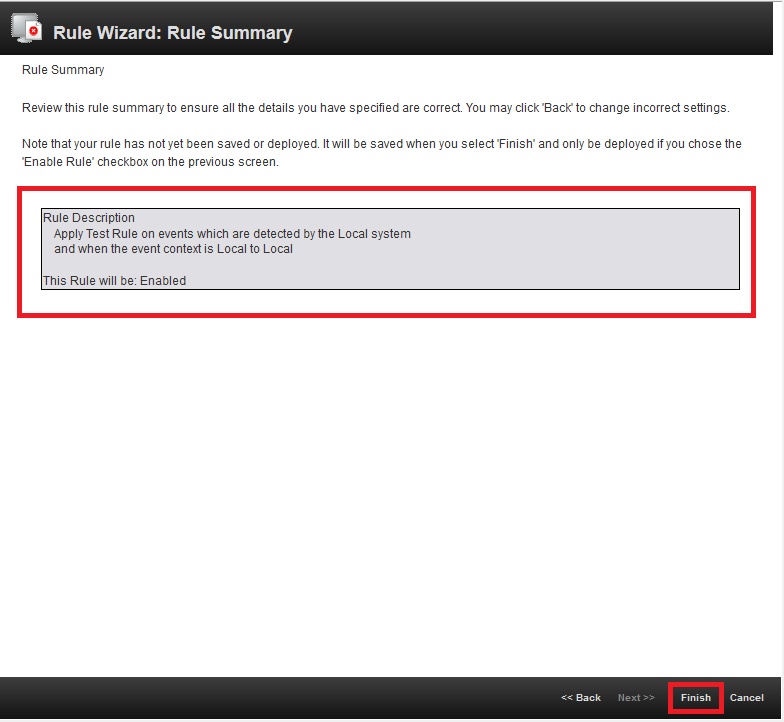 Finally, you need to specify the conditions for triggering the rule as it was in Creating rules based on events section. The usage of rules allows your SIEM automatically uncover anomalies in users behavior and detect specific security incidents. Processing of rule triggering results reduces SIEM administrator’s burden and allows to increase the security level within the organization.